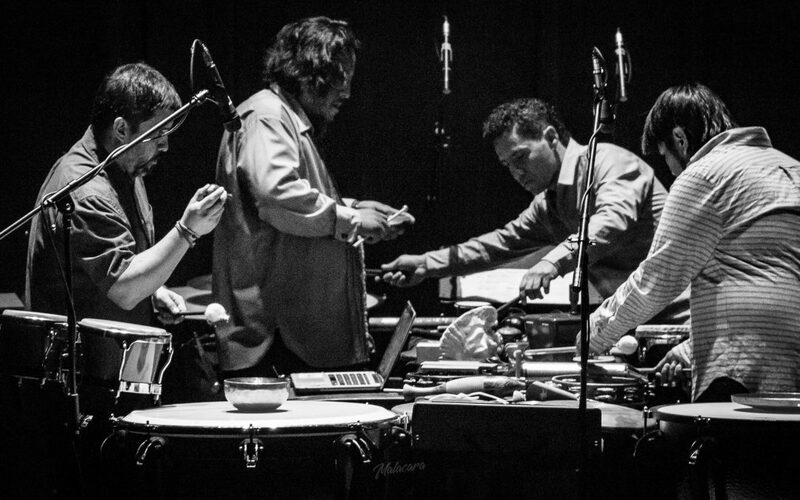 Versus 8 Percussion Ensemble offers a fresh perspective on modern and traditional percussion music. In its 16th anniversary Versus 8 has performed in numerous stages around Mexico and internationally in countries such as Paraguay, Cuba, and Luxembourg, USA and Spain. Travesías is the title of Versus 8’s latest show, which is well-balanced in terms of form, style, and aesthetics of contemporary percussion music, including some of the most symbolic sounds of the beautiful traditional Mexican marimba.